Are There Effective Natural Sleep Aids? Being unable to sleep can be a very unhealthy and upsetting experience, but not everybody wants to resort to prescription drugs in order to resolve the problem. The use of natural sleep aids is becoming much more common, and it is no mystery why. Pharmaceuticals of this nature are known for their strong side effects as well as their habit-forming nature. Most of the drugs on the market today hold a very high risk of forming a dependency, and many people would prefer to avoid the discomfort caused by withdrawal symptoms, altogether. As they are becoming more popular, the number of natural sleep aids has grown significantly very the last couple of decades. The trick is to understand how they work, what they do, and if they are the right choice for you. For that reason, it is recommended that your first step be to visit your doctor. It is also important to consult a medical professional even before starting the use of natural sleep aids, because insomnia isn’t always a stand-alone problem, but may actually be a symptom of another health condition. Since no treatment of insomnia – prescription, over the counter, or otherwise – is a cure for the condition, the only way to permanently eliminate it is to find out the cause and treat that, as well. That said, alternative options remain an effective remedy for your sleeping problems until you can identify and treat the source of the main issue. Natural sleep aids help you to get the rest you need, without many of the unpleasant drawbacks associated with their chemical cousins. For one thing, prescription drugs often leave a person feeling like they are dragging for several hours into the next day, even after achieving a full night of sleep. Since the reason these medications are being used is to combat the sleepiness that results from insomnia, it can feel as though the drugs are defeating the purpose. Many alternative medicines will allow you to awaken feeling energized and refreshed. Alternative remedies also help you to continue to manage insomnia over a longer period of time. Prescription and over-the-counter drugs are meant for the short-term. They can either cause dependencies if used too long, or they can lose their efficacy. Natural sleep aids allow you to use them whenever you need them, as long as you choose the right ones. Discuss your options with your doctor. 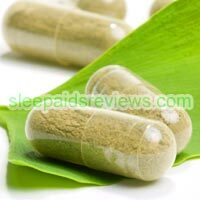 1 comment to Are There Effective Natural Sleep Aids? I have been taking Abien For a while but it doesn’t always work. I suffer with cronic insomnia.